The 2015 – 2016 UK restaurants holding 3 and above AA Rosettes are listed below. Note: The January 2016 update has now been added to this list. The AA announced its latest restaurants to be awarded the coveted 3, 4 & 5 Rosettes on 5th October 2015. Chef Daniel Clifford and hotelier Robin Hutson were among the big winners at the AA Hospitality Awards, held on Monday at the Grosvenor House hotel on London’s Park Lane. Clifford, who runs the five-AA-rosette Midsummer House in Cambridgeshire, picked up the AA Chefs’ Chef of the Year 2015 award, while Hutson won the AA Lifetime Achievement Award. They were among 23 awards presented during the evening. 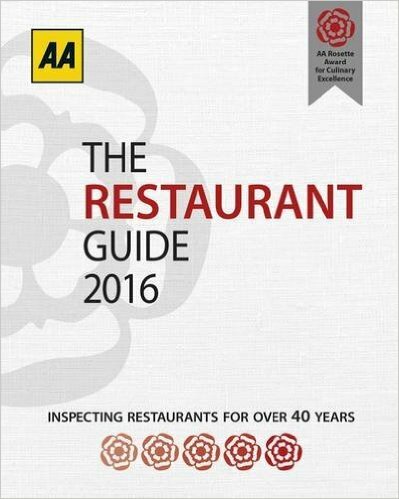 Here we cover the full list of restaurants awarded AA Rosettes in the AA Guide. Find the finest restaurants with Luxury Restaurant Guide FREE App. Download now from www.luxuryrestaurantguide.com. Join Luxury Restaurant Club today to enjoy benefits at many of the properties highlighted above and many more. Limited choice of restaurants in coventry but this one should be visited turmeric gold .overall a fantastic experience. Where are the 2 AA rosette restaurants? Hi Andrew – Our blog covers 3 AA Rosette and above as stated at the top of the post but if you want to check an individual restaurants status go to http://www.theaa.com/restaurant-and-pub. Apologies if the title is misleading.